Get a team together and join us for a pub quiz on the 3rd at the Prince pub, N16 0EB! Prizes include a meal at the Prince, and gifts from the Pressure Drop Brewery as well as 2 tickets for Abney Park’s upcoming summer theatre performance. 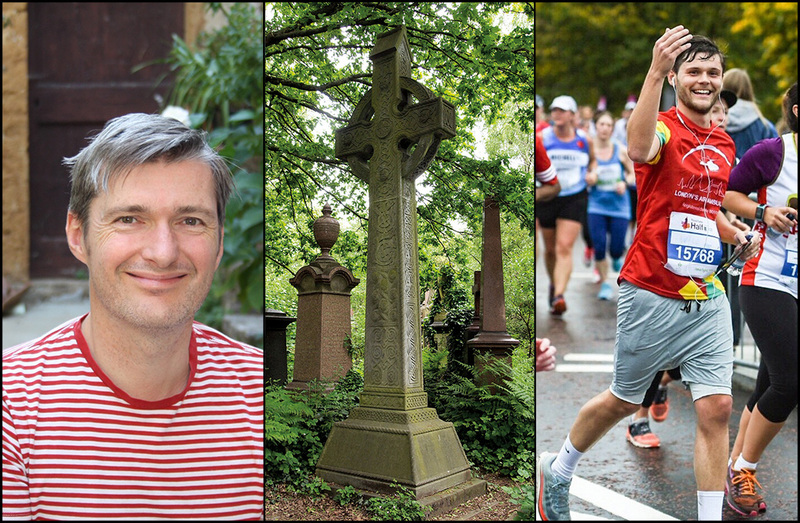 Abney Park Trust are delighted to have runners in the London Marathon on April 28th to fundraise for our memorial restoration projects. We would like to thank Jim Grice and William Deamer who have both generously agreed to run for us and are training hard. The restoration projects were voted for by visitors at our last Fayre and include cleaning the large Celtic cross at Abney House corner, or repairing the broken sarcophagus near the Church St entrance. Abney Park really appreciates their energy and we wish them luck!